This fun neighbor gift idea is going to be on the top of my list for next year. 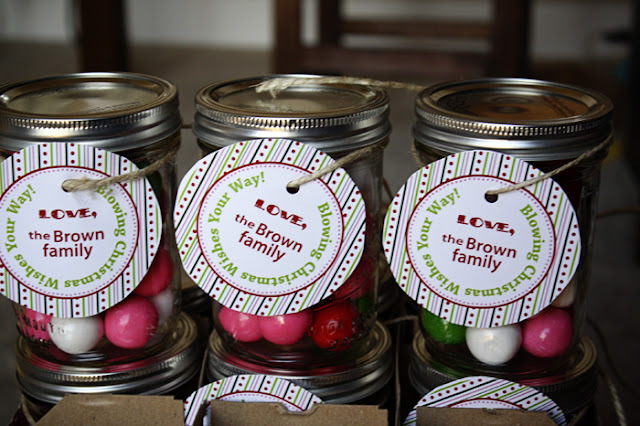 Vanessa ordered fun Christmas colored gumballs (red, white, green, and pink), put them in a mason jar, and added a cute tag about blowing Christmas wishes. You can see more of this fun gumball neighbor gift and the rest of Vanessa's fun ideas over at I Never Grew Up. Hope you've started the week off with a smile!